Here's a quick and easy mod to give more realistic 'portholes'. Pop the roof off; file the cab rear flush; cut into the 'coal' down to bunker level with a razor saw. Superglue a rectangle of 10thou plastic card (or brass sheet) to the cab back and file to fit under the roof edge. Superglue the roof on, and use your favourite filler on the gaps front and rear. File the filler flush, then with a small rat-tail file, gradually open the window apertures, until they are almost 3mm circles - a suitable HSS drill bit held in the fingers finished the job. If you're careful, this could be achieved with only a localised touch up, perhaps camouflaged with some coal dust. Another variation would be to use cellophane sheet in place of plasticard, mask two 3mm circles (leather punch? ), and you'd have glazed portholes. What a wonderful post! I have three of those Poole saddle tanks, and I wouldn't have even known. Your post is educational on two fronts - firstly by showing us how to do a simple improvement in a clear fashion, and secondly, because I didn't even think about the rear windows being wrong!! Embarrassing for a NE lad! Your post is the sort that makes this forum such a useful resource. Wonderful, and thanks for the contribution! 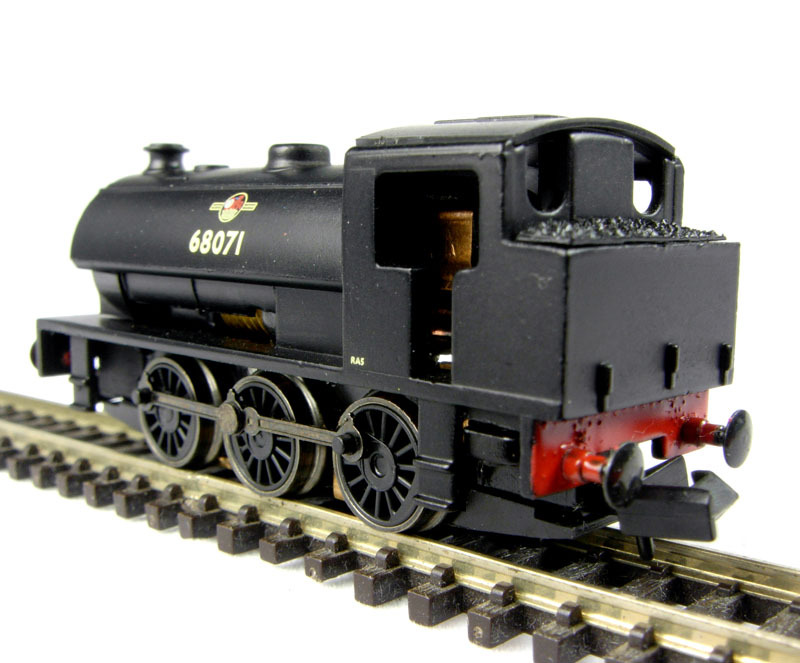 Nice little conversion - the J94 had so many little detail differences that there's a wealth of opportunity for unique conversions and detailing of industrial locos as well as the LNER/BR ones. Back in the day I did mine in BR style with high bunker - similar to you it was simply constructed from plasticard. 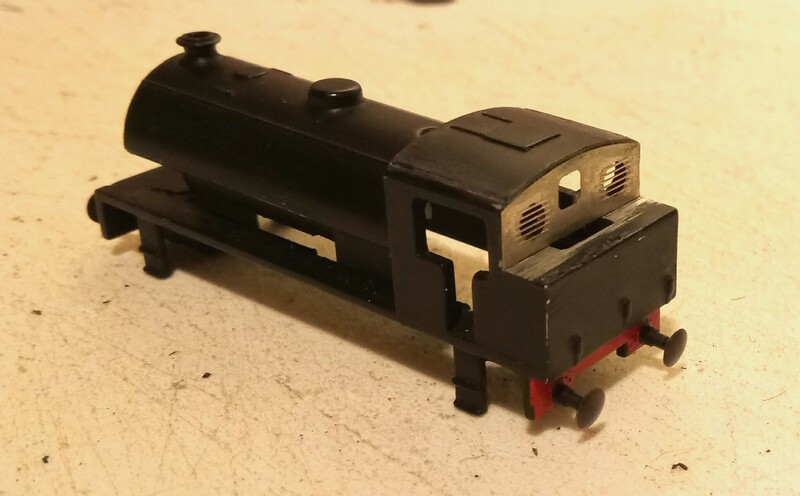 I also gave it the separate handrails treatment. Thank you - I found your mods when checking that someone hadn't posted about J94 portholes before - a fantastic model indeed. Those are excellent etches - I'd have used them if they'd been around when I did mine! FYI I'm continuing the story of this model on this new thread. Last year I posted an article on improving a J94's rear portholes. 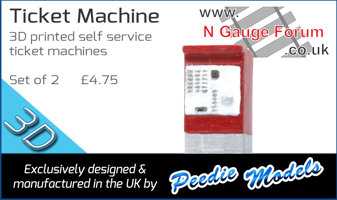 There are replacement steps, cab rear panels for the basic and extended bunkers, front window surrounds and a reversing rod. Because I wanted the central vent between the windows to be open, I cut down the central panel. However, the etched panel is paper-thin, so with hindsight, I'd recommend drilling the original back panel behind the new vent. File the faces smooth and attach with liquid superglue. All ready for priming! 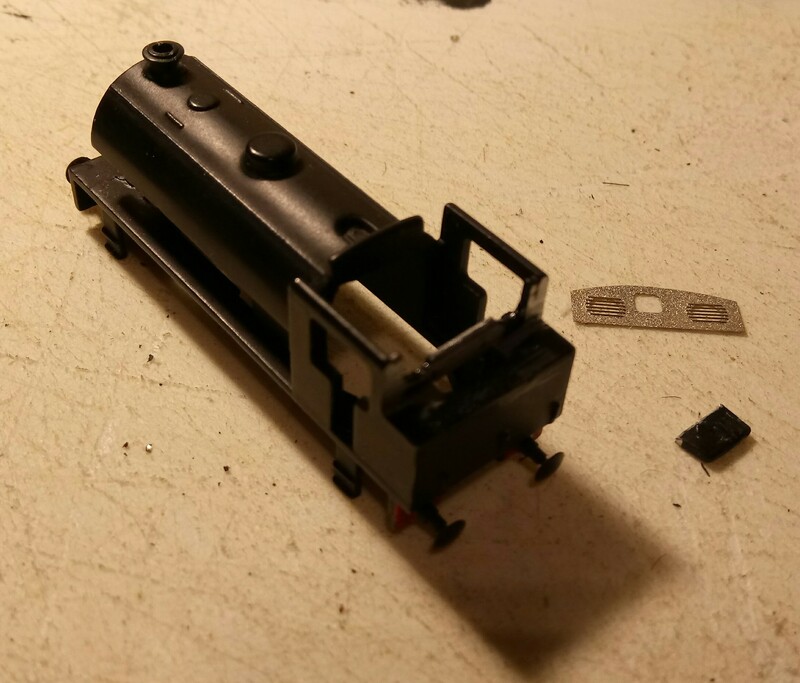 If you're careful these parts could be retrofitted to any model and the local paintwork touched in. May I ressurect this post? 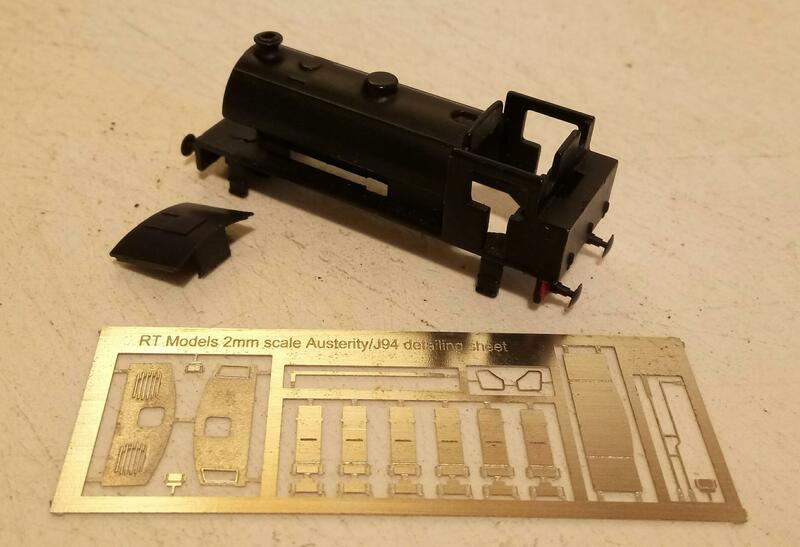 Ive just bought 2 sets of the RT etches for a colleague and myself for his new layout. The Etchs dont come with any instructions. I will be building two J94's as LNER there being two which were converted to high bunker in 1947 still with LNER numbering (only these two!). Can anyone recommend what to solder, what to superglue, what to epoxy for the high bunker and the steps? Ive tried soldering to Farish cast bodies without success, Dr Al says it cant be done also. I'm wondering if the new steps can be glued to filed off Farish step stubs, that leaves the centre steps without 'how to fix'. I'm also assuming to paint stripper all before starting. final note, I'm assuming I use the rear cab sheet with the horizontal wire grids, what is the other can sheet for? 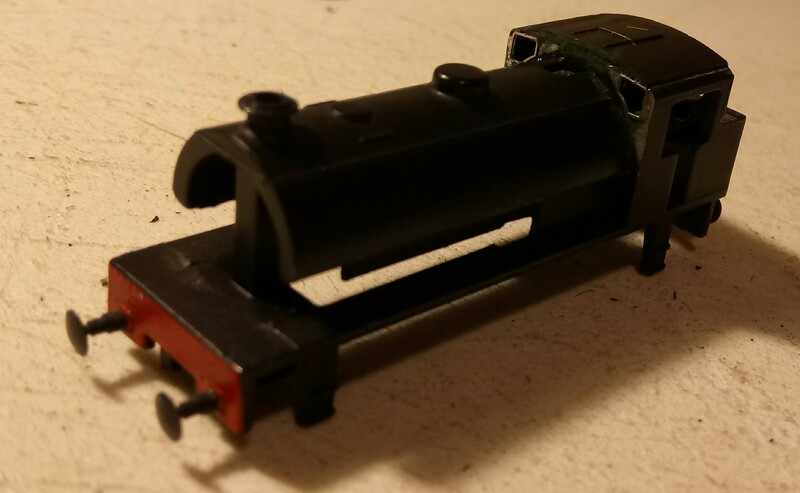 I also have this loco as 'Robert' and the LMR version, both pristine but does this extra cab sheet apply to either of both? Hi - soldering is a mystery to me so I'd advocate using Superglue to bond the brass items to the (roughened) bare-metal of the Farish model. Yes, glueing the brass steps to the filed-down Farish steps seems sound - the central ones can hang alone, or be reinforced by some of the etch "sprue". The wire-grid back sheets are for the 'standard' bunker. The built up one uses the narrow window back sheet. Maridunian, ive just noticed your photo, is it J94's? purely for interest can you reply with this photo on the reply at bigger size? 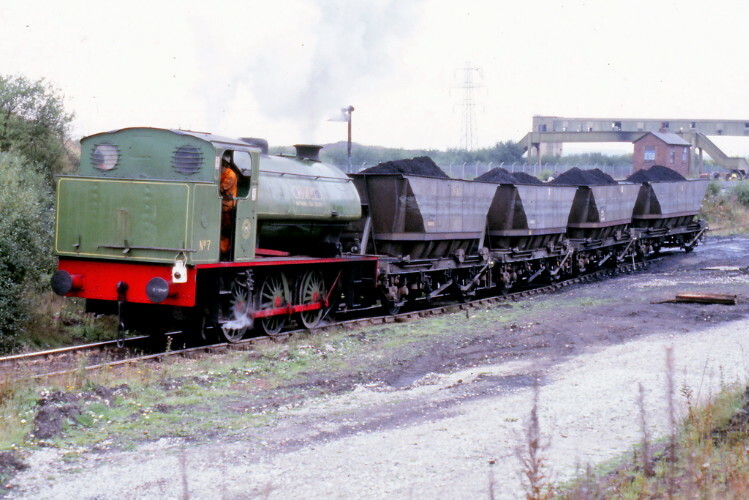 Ive been googling for J94 photos but not seen that one. Soldering is something I'm working on, ive recent built an A8 from a brass etch so ive learnt using different soldering irons, different temperatures and different solders. Ive even had the disaster of melting a white metal kit steps component into a blob! I wish I had experience of low melt solder when I built my Beyer Garret to correct the surface air hole bubble porosity. Its worth going down the path of soldering. Thanks for the note on rear cab sheets, I can now think of using the 'left overs' on my green 'Robert' and Longmoor examples. Yes, they're a couple of my Farish J94s. 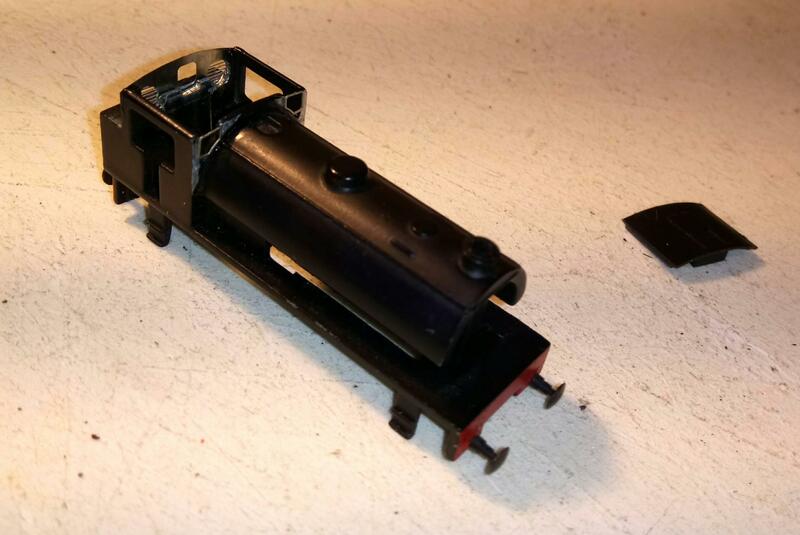 I'd seen this detail kit a long while ago but never seen it applied to the loco.